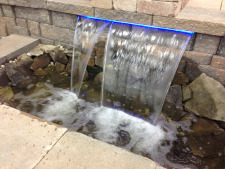 Made in the USA, Formal Falls are a beautiful yet simple way to add the aesthetics of water to your surroundings is to build a retaining wall waterfall. The water flows out from the stone in a nice, smooth sheet and into a basin below. 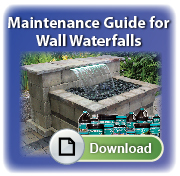 These wall waterfalls can be easily added to any block wall structure and are a great alternative to fountains. They can be used to adorn a garden, pool, outdoor living area, or even a home or business foyer! The FormalFalls has a low-energy, color-changing, remote controlled, LED lighting system that creates a beautiful nighttime display. 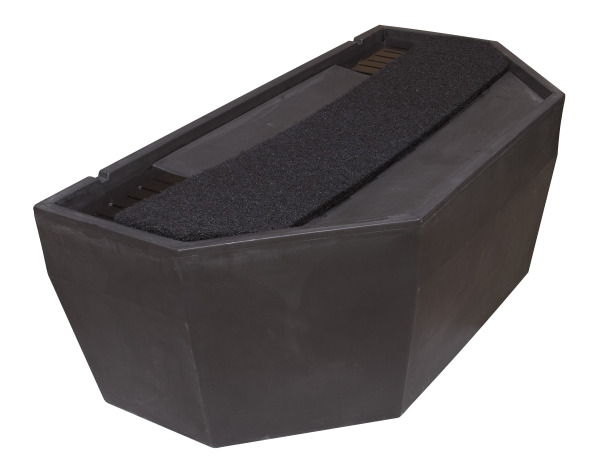 The basin was designed to create an easy way to install the system within a block wall structure, and the use of the autofill kit virtually eliminates all maintenance for the consumer. The bottom line? Selecting the Formal Falls over a competitor's sheer waterfall may mean paying a tiny bit more, but the quality of Stainless Steel + the listed benefits makes the decision to pay roughly $100 more on a $4000+ installation worth the minor cost difference! 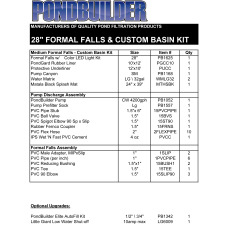 Mini 8" tapered design Small 16"
Please note, for custom applications where the Formal Falls will be used outside of the standard kits, you will need to provide accurate information pertaining to the install to your supplier. 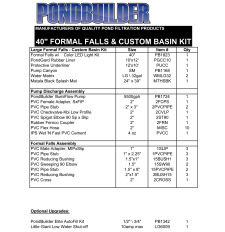 This product is not intended for harsh environments, such as saltwater or other corrosive environments, please refer to our Custom Formal Falls. Overall heights desired, proximity of the pump to the Formal Falls, and plumbing schematics covering all connections and sizing between the pump and the Formal Falls unit. 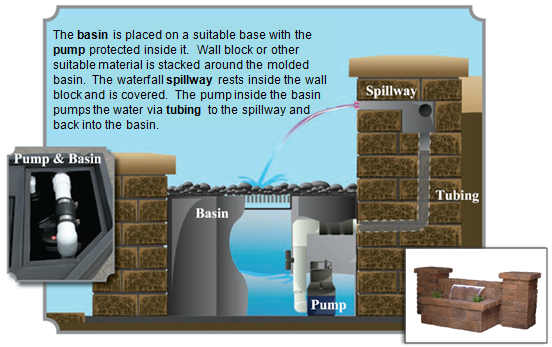 Providing detailed drawings and specifications will ensure proper performance resulting in ideal flow rates through the Formal Falls. 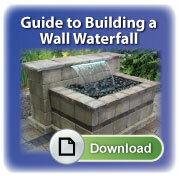 Download the Guide to Building a Retaining Wall Waterfall for additional details. 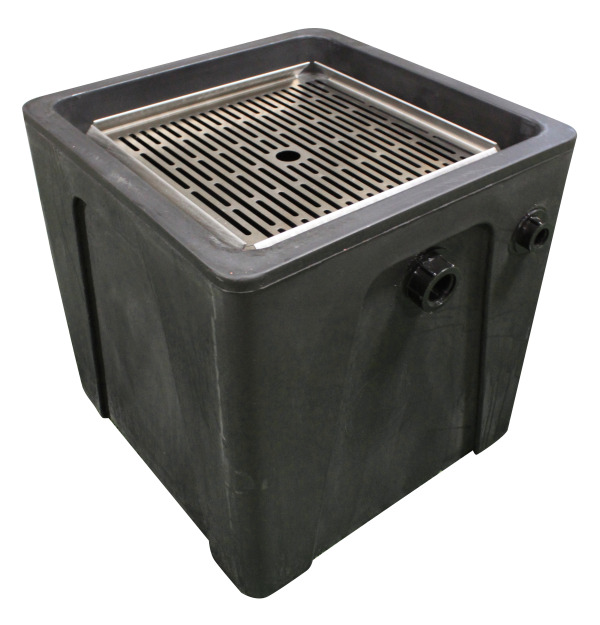 The 1/8" opening of the Formal Falls and the design of the internal baffle keep our units from allowing debris to back up inside the opening. One way to quickly notice the difference in our opening is by how noticeable the thickness of the water becomes and how strong the flow is moving away from the wall. 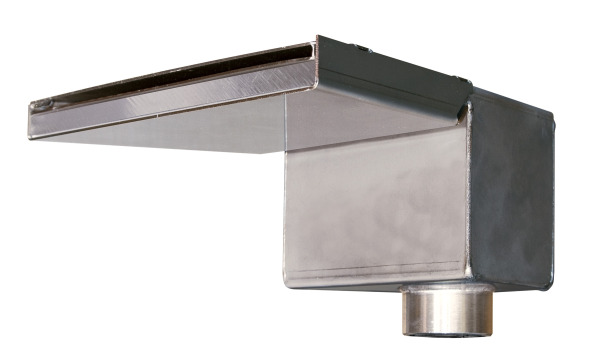 The stainless steel of a Formal Falls keeps the integrity of the opening intact when under heavy downward pressure, therefore preventing the "saber-tooth" look of the waterfall being shown above.